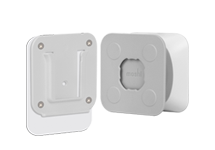 Mount your MetaCover with iPad to any metal surface. 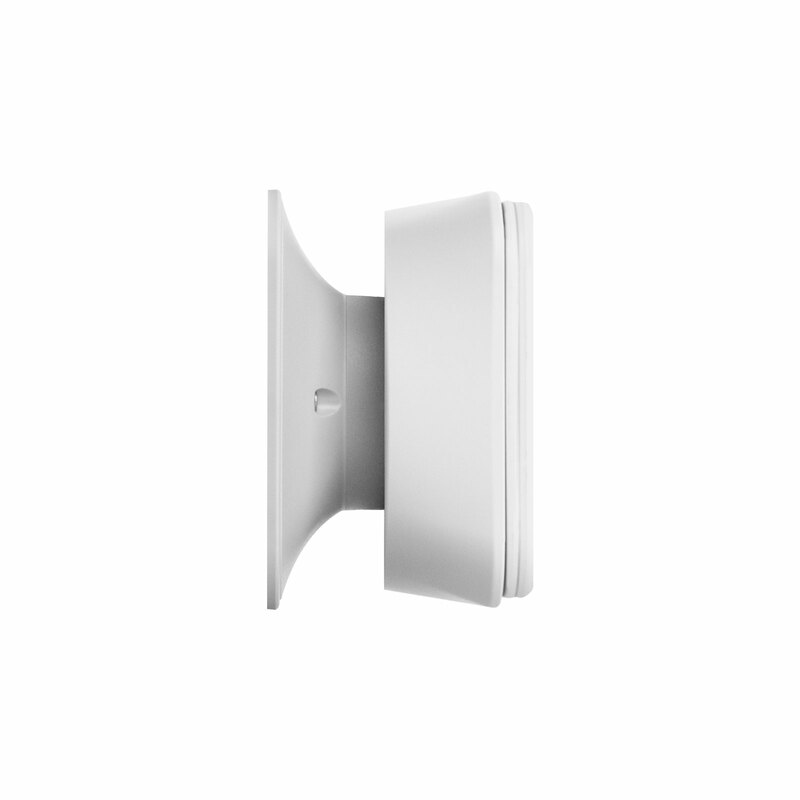 Designed for the MetaCover Series, Moshi's Magnet Mount lets you mount your iPad to any metal surface. 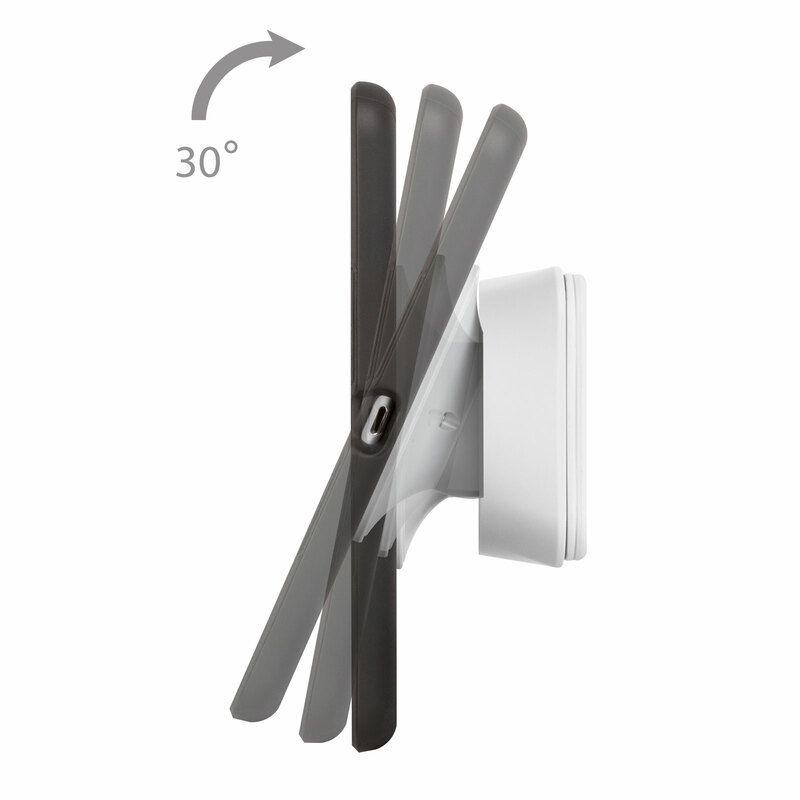 This is the perfect solution for hanging your iPad on a refrigerator, filing cabinet, toolbox and much more. 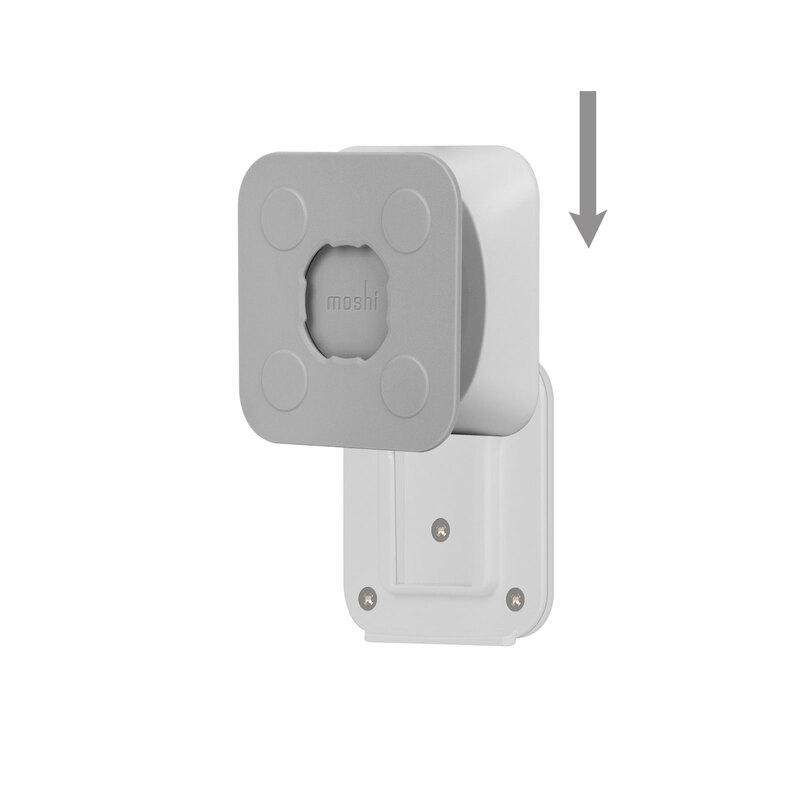 A permanent installation isn't required as extra-strength magnets securely affix the mount to any metal surface, but let you move it to a new location as desired. 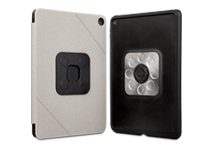 While other mounts only provide straight-on viewing, Moshi's Magnet Mount features an adjustable dual-hinge design that offers a 30-degree viewing angle in all directions. 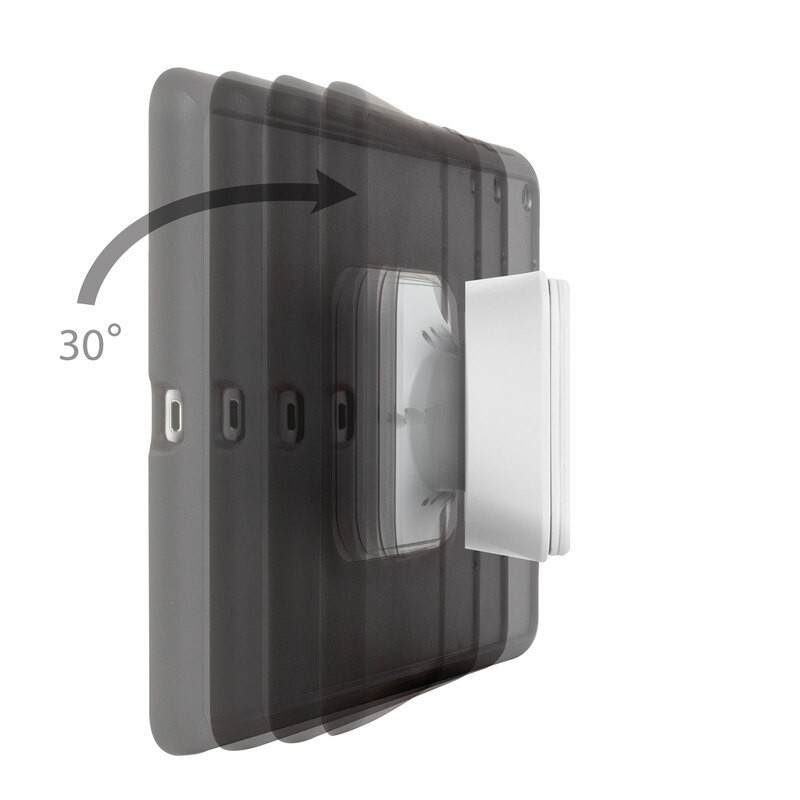 No tools are required, mounting and demounting your iPad is fast and secure thanks to a magnet-assisted connection port. 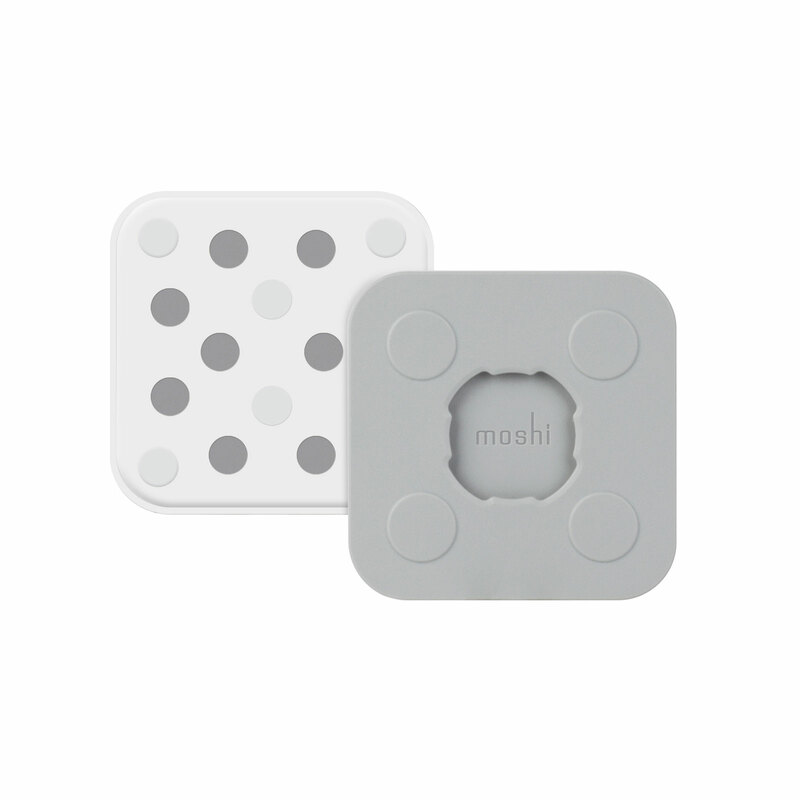 Moshi's Magnet Mount is the ideal choice for users looking for a strong, functional, and portable solution for mounting an iPad on any metal surface. Extra-strength magnetic backplate for mounting to metal surfaces.